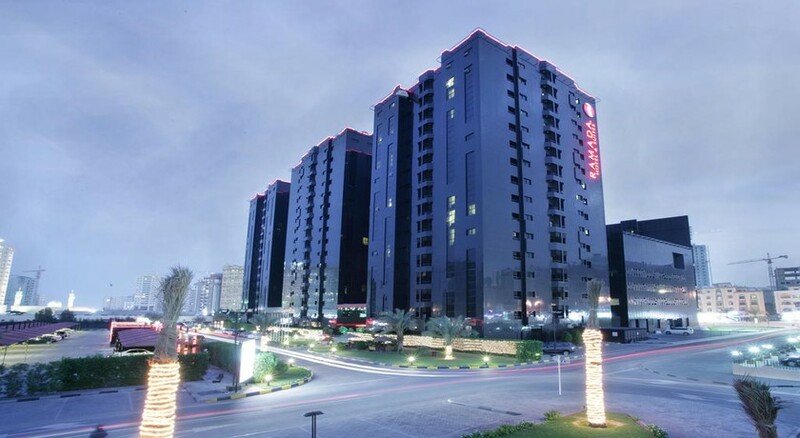 Set in a prime location, the 4-star Ramada Hotel and Suites Ajman is designed to provide guests with a luxury stay that fulfils their every need. This hotel puts guests at the heart of the action while still being within reach of the resort’s gorgeous beaches. All of the guest rooms are tastefully designed, while the on-site restaurant ensures that guests can dine in style with plenty of choice, too. There is an indoor pool, fitness centre and sauna available to use, while guests can also venture out of the hotel should they want to explore the array of tourist attractions in the area. The Ramada Hotel and Suites Ajman is a hotel that provides the comforts that guests expect and deserve during their stay. The hotel is an ideal location for guests who want to be within easy reach of the fantastic beach, shops, restaurants and bars during their Ajman holiday. The city centre is full of life, with a variety of tourist attractions, restaurants and bars to browse. But if that’s not enough, the glistening metropolis of Dubai is just 30-minutes away. The airport is 10km from the hotel. 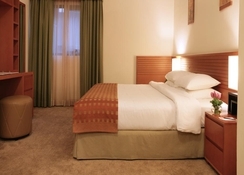 Guests can make themselves at home in one of the 365 guest rooms at the Ramada Hotel and Suites Ajman. There are Standard Suites, King Suites, One Bedroom Suites, Deluxe One-Bedroom Suites and studios to choose from. 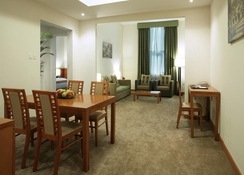 All rooms are individually decorated and come with space, colour and touches of comfort throughout. All rooms come with single sofa beds, full-sized refrigerators and kitchenettes as well as Wi-Fi, TV with satellite channels, safe and private bathrooms. The Orchid Restaurant is the place for guests to relax and unwind, where they can enjoy a choice of delicious international dishes and delicious flavours. There’s also a coffee shop on-site serving beverages and sweet treats throughout the day. If guests want more choice, then they have the option of venturing out of the hotel where they can find a huge choice of restaurants. 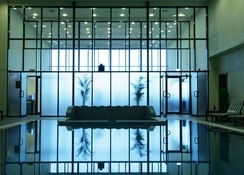 The hotel offers a luxurious indoor pool where guests can relax in silence before heading to the sauna to unwind further. There is a fitness centre on-site but for guests who are looking for action, the local beaches have plenty to offer in the form of water sports while there is a floating water park in the area. Golfers will love the local golf course while there are plenty of shops and Malls to explore for those who love a spot of retail therapy.